Chris Sumlin's debut book, Dealing with This Thing Called Life, is the self-help book for young men and women who want to overcome obstacles and aspire to Greatness. These relatable, entertaining anecdotes, from acceptance to the prestigious Morehouse College to meeting Kim Kardashian-West, will inspire readers to reach their maximum potential. The author shares: 12 Stories, 12 Lessons, 12 I AM Seeds. 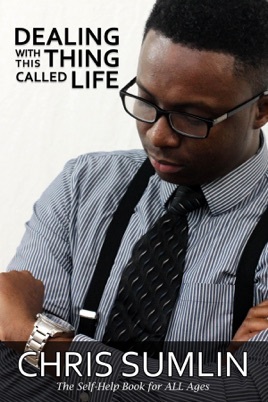 Chris Sumlin is passionate about motivating others in their quest to deal with this thing called life. Great read! Short and has great life lessons.